Made this one last night, Delicious. I Love my greens!!! BBQ Chicken Breasts on the grill. Mix ingredients in mini food processor until well blended. 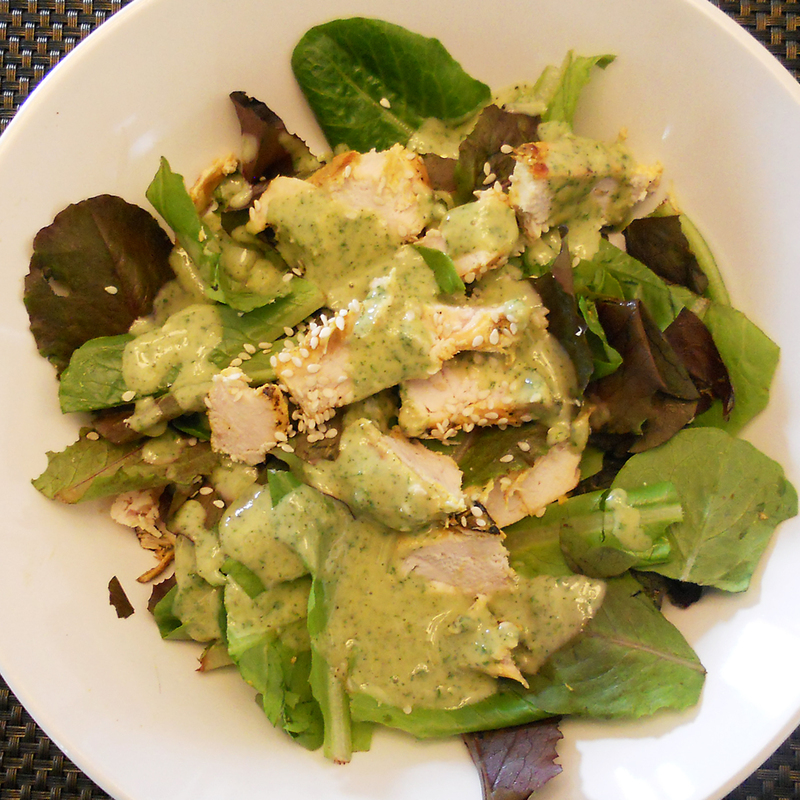 (I use the costco one) Assemble your salad, add some dressing and top with fresh raw sesame seeds.